The Gold Coast office market has bounced back and posted its lowest vacancy rate since the global financial crisis (GFC), with the 2018 Commonwealth Games triggering a boost in investment. Ray White Commercial Head of Research, Vanessa Rader, said a rebound in the second half of 2015 and another year of positive net absorption brought the total vacancy position of the city to 13.6 per cent, the lowest rate since July, 2008. “With international eyes on Gold Coast in 2018 with the Commonwealth Games there have already been some increases in investment by both local and off shore developers,” Ms Rader said in the Between the Lines Gold Coast Office Market Report February 2016. Ms Rader said the vacancy position of the Gold Coast has been steadily improving over the past few years after the total market result peaked at 23.3 per cent in July, 2010, falling to its current low of 13.6 per cent in January, 2016. Ray White Commercial Gold Coast’s Steven King said the Broadbeach and Varsity Lakes/Robina market is home to modern accommodation which is in greater demand compared to the secondary accommodation in much of the Gold Coast. 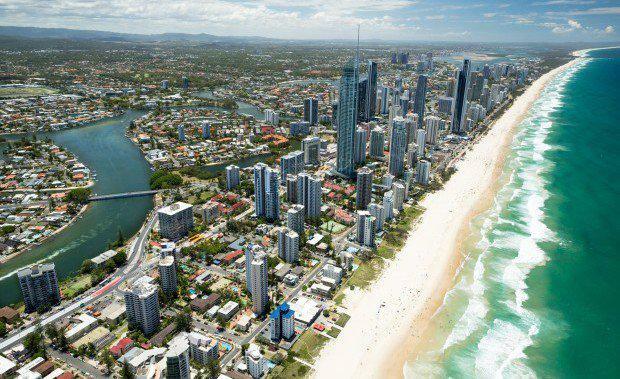 “Surfers Paradise offers predominately secondary quality stock and has improved over the last few years yet still records vacancies north of 20 per cent, currently at 22.6 per cent,” he said. Mr King said with the Gold Coast recording five years of positive annual absorption reducing vacancies by more than 100 basis points, continued improvements in rents are anticipated given market sentiment is sustained.